Salt (or sodium chloride) is essential for life. Blood, sweat, tears and saliva all contain salt. Without salt, your body becomes chemically imbalanced, and your muscles and nervous system cannot work properly. Salt becomes problematic only when you take too much of it. The average Singaporean adult consumes 9 grams of salt per day, which is more than the recommended daily intake of 5 grams (this is equivalent to one teaspoon of salt). If you have diabetes and high blood pressure, your doctor may recommend even less. Salt is one of the main sources of sodium in your diet. Reducing the amount of sodium in your diet has been shown to lower your blood pressure. Lowering your blood pressure means you are less likely to develop heart disease, stroke, retinopathy and kidney disease, all of which are diabetes complications. 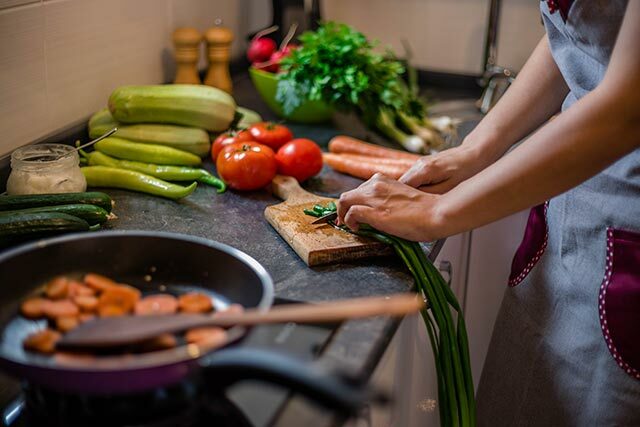 Generally, fresh foods such as fruit, vegetables, wholegrain foods, beans, peas and legumes, unsalted nuts and seeds, and fresh meat have much lower sodium content than processed foods. 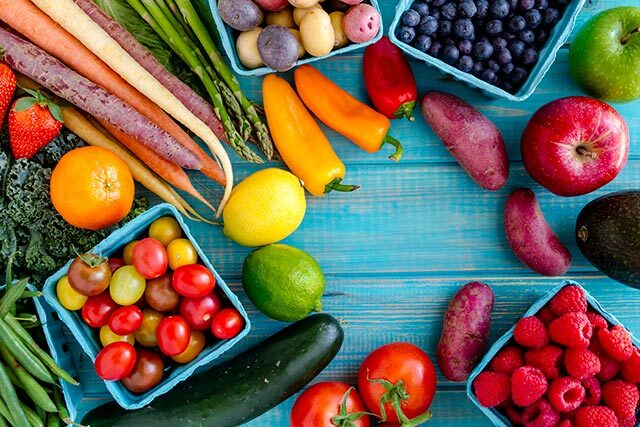 For a healthier diet, try to buy fresh produce as often as possible. Processed foods tend to contain more sodium than fresh foods because of the added salt during food processing and manufacturing. condiments (soy sauce, dressings/marinades, tomato/chilli and oyster sauce). 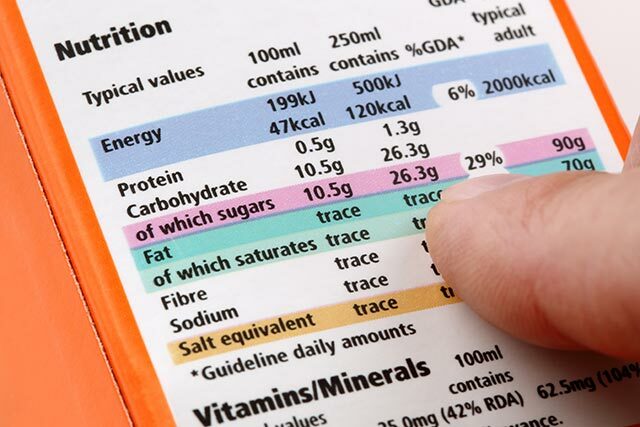 When buying processed foods, take time to read the Nutrition Information Panel on a food product and compare it with similar items. This may be time-consuming in the beginning but the next time you shop for grocery, you will know which options are better and where to find them. Another way is to look out for the Healthier Choice Symbol to help you choose lower sodium alternatives. Certain fat-free or low-fat food products may have more sodium added to them to make them tasty. Always check food labels so you know what you are getting. Be careful when using salt substitutes as they are high in potassium which can be harmful to some people. Check with your doctor to make sure they do not interfere with your diabetes. Cook with less salt, sauces, stock cubes and seasoning powders. Use natural herbs and spices like onion, ginger, garlic, parsley, cinnamon and cloves to flavour food instead. Prepare your own stock. It is easy to boil chicken or fish bones with some vegetables, and use the broth to make stock to flavour your dishes without having to use much salt or condiment. If you want to use canned stock or broth, look for reduced-sodium varieties. Ask for your food to be prepared with less salt and sauces where possible. Taste food first before adding more salt or sauces to the food. Avoid finishing up all the broth or sauces as they contain a lot of sodium. Don’t let hidden salt sneak up on you! It takes a while to adjust to less salty food but the benefits will last you a lifetime. World Health Organisation. (2007). Reducing salt intake in populations: Report of WHO Forum and Technical Meeting. Thomas, M. C., Moran, J., Forsblom, C., et al. (2011). The association between dietary sodium intake, end stage renal disease, and all-cause mortality in patients with type 2 diabetes. Diabetes Care. 34(4), 861-866. American Diabetes Association (2003). Treatment of hypertension in adults with diabetes. Diabetes Care. 26(1), s80-s82. Find out more about pre-diabetes and how you can reverse it by making some changes to your lifestyle. Stay smoke-free for 28 days and you're 5 times more likely to quit for good. Your guide to managing and preventing diabetes mellitus in Singapore. Learn more about type 2 diabetes and the signs and symptoms to look out for. Articles contributed by SingHealth Polyclinics, National University Polyclinics, National Healthcare Group and Health Promotion Board. Stop and Reverse Pre-diabetesFind out more about pre-diabetes and how you can reverse it by making some changes to your lifestyle. I Quit 28-Day CountdownStay smoke-free for 28 days and you're 5 times more likely to quit for good. <h2>References</h2><ol id="footnotes" style="margin&#58;0px;"><li>World Health Organisation. (2007). Reducing salt intake in populations&#58; Report of WHO Forum and Technical Meeting. </li><li>Thomas, M. C., Moran, J., Forsblom, C., et al. (2011). The association between dietary sodium intake, end stage renal disease, and all-cause mortality in patients with type 2 diabetes. <em>Diabetes Care. 34</em>(4), 861-866. </li><li>American Diabetes Association (2003). Treatment of hypertension in adults with diabetes. <em>Diabetes Care. 26</em>(1), s80-s82. <div class="ExternalClassCC9C1E5674D64A9B8716408BDFD8BE67">Established in 2001, the Health Promotion Board (HPB) has a vision to build a nation of healthy people.